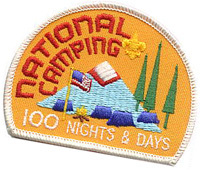 This past weekend’s Scout outing put me at 100 nights of camping… a count I have been tallying since I first got involved with Scouting some twelve years ago. I don’t really know if this is a recognition for adults, but I did it for fun at first and then as an example once I really caught the vision of Scouting. It was at that point I learned how the outdoor setting should be used to teach lessons that are otherwise hard to do in other everyday typical scenarios. Check out the book Trails To Testimony to see for yourself. 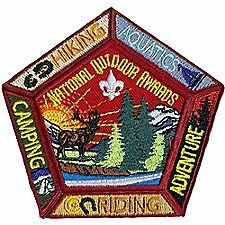 Speaking of camping awards, did you know the National Camping Award was replaced by the National Outdoor Award sometine in 2010? …and there’s quite a bit of difference between the two! Requirements for the National Camping Award were to simply sleep overnight for X number of nights in a setting that involved tents, no electricity, under open skies and with typical camp activities such as setting up or breaking down camp. Scouters could be recognized for completing 100, 250, 500 and 1,000 nights! Could you imagine accomplishing ONE THOUSAND nights in a sleeping bag! I wonder how many, if any, reached that level (or how long it took ’em for those who did). Many of these requirements are simply reinforcing the advancement method already in place and encourages Varsity Scouts to carry out a bona fide high adventure activity. 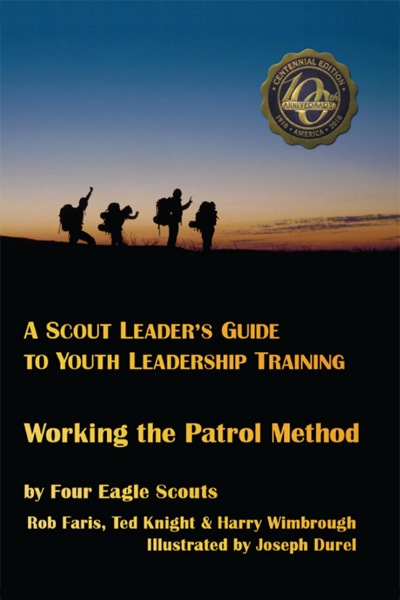 It’s good to see the bar held high on this key element of Scouting. Experiencing the outdoors can’t become lost or defeated by the other growing distractions of this digital age. This entry was posted in Awards, Camping and tagged adventure, aquatics, backpacking, boy scouts, bsa, camping, canoeing, high adventure, hiking, national award, outdoor, outdoors, riding, scouting, varsity scouts, whitewater. Bookmark the permalink.